Description: Sometimes, you just want a cool, classic dip that everyone will love; this is it. Savory green onions with fresh dill, sea salt, and subtle spices blend with sour cream to make the perfect veggie and potato chip dip. Features: All natural ingredients. No added MSG. Gluten Free. Vegetarian / vegan. Made from scratch, in small batches, from our own original recipe in Ohio. Abbreviated Ingredients: onion, sea salt, garlic, dry scallions, herbs & spices. 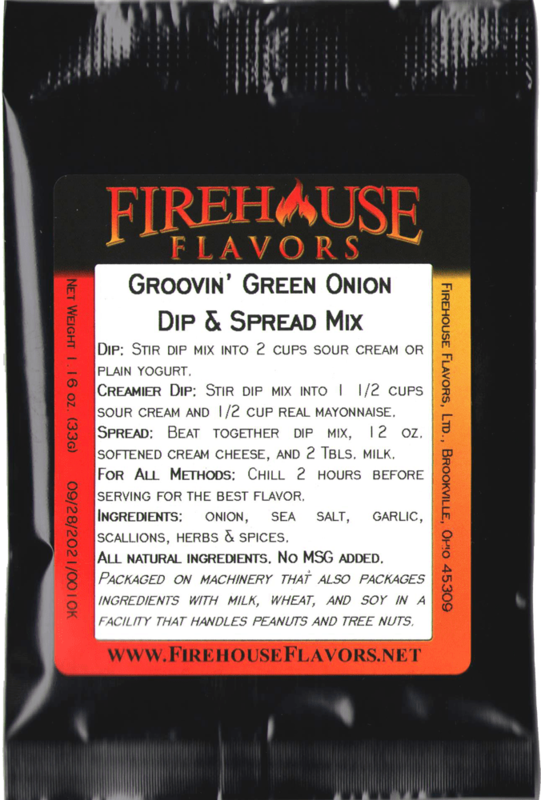 Just a Note: We make this by pairing up our Fresh Onion Dip Mix with Dry Scallions. Colorful, creamy, and delicious, not to mention easy! 1 pkt. 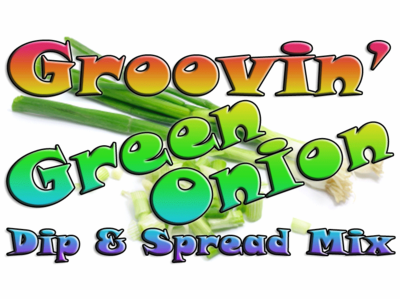 Green Onion Dip Mix, prepared as directed for "Creamier Dip"
~ Stir together desired amount of dip with all vegetables no more than 2 hours before serving. ~ Refrigerate until ready to serve. Tangy potato salad to accompany most main dishes, especially rich ones like barbecue, as its savory and fresh components balance out the flavors. ~ Scrub potatoes clean, but do not peel. Boil or steam until fork tender. Drain, pat or air dry and cut into 1/2 inch cubes. ~ In a medium bowl, toss together potatoes, Green Onion Dip, onion, celery, and mustard until well coated. Refrigerate until cold.